Paul Watson, an experienced Porsche tech with Porsche Australia, had some interesting things to say about carbon ceramic brake discs in a recent interview with Australia’s Wheels Magazine. According to Watson, Porsche always suggests iron brakes for those owners who do track days, as the carbon discs can degrade when punished and are extremely expensive to replace. Some track day veterans may already know this, but those who are less experienced when it comes to performance driving, this may be a surprise. Especially when you consider that carbon ceramic brakes are used in top-tier racing categories like Formula 1. 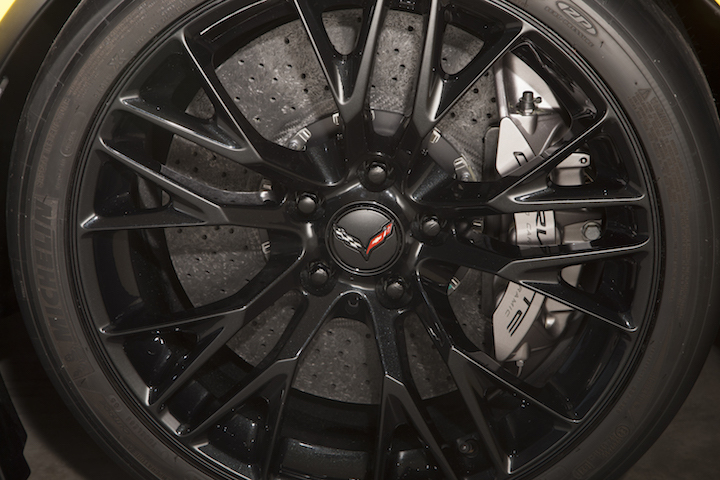 The first General Motors production car to offer carbon fiber brake discs was the C6 Corvette ZR1, which used the same Brembo carbon ceramic discs as the Ferrari Enzo. These brakes are standard equipment on the C6 ZR1 – an important fact to consider if you are thinking about picking up a ‘Blue Devil’ second-hand some time in the future. A more surprising recipient of the high-priced rotors was the fifth-generation Chevrolet Camaro Z/28, which also featured massive Brembo carbon ceramic rotors. The Camaro Z/28 achieved up to 1.5g in deceleration during Chevy’s testing, so these Brembos are still quite strong, even if they aren’t ideal for sustained track punishment. 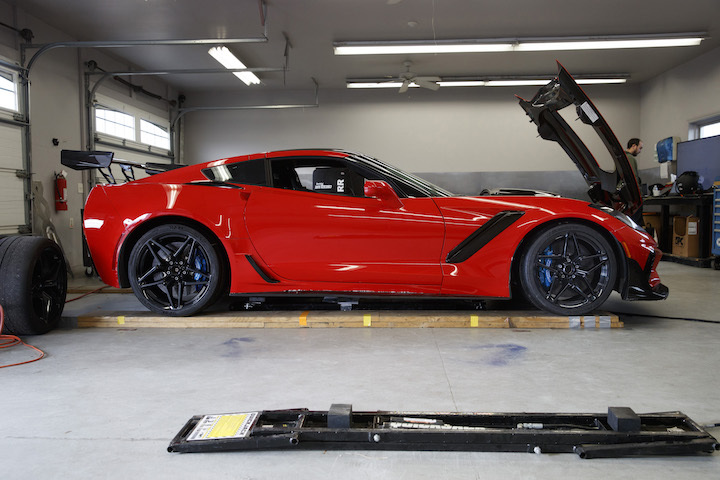 As you may already know, the only GM cars to offer carbon rotors today are the C7 Corvette Z06 with the Z07 Performance Package and the C7 Corvette ZR1. There is one other benefit to carbon ceramic rotors: they don’t give off any brake dust. So it seems these performance-focused brakes are better suited to those who hate cleaning dirt and grime off their wheels, rather than those who like to go fast. In conclusion, if you plan on picking up a GM performance car with carbon rotors, do yourself a favor and swap out those pricy and slightly flimsy discs for some iron ones. Carbon ceramic rotors can last a long time on the road, look cool and prevent brake dust, but don’t hold up well when things get a little hot. Cadillac discovered this several years ago and they swapped out the carbon ceramic brakes in the 640-hp Cadillac CTS-V for larger brakes made of ones made of metal; this had every car tester saying Cadillac was being cheap and stupid as the talking heads said the carbon ceramic were more efficient and they dissipated heat more faster. Let’s get some facts in the way. No matter what brake or rotor you use the will degrade under track use. Brakes and rotors are consumables and they sacrifice themselves to stop you. Ceramic rotors do disapate heat after and more efficiently hence less heat better braking. Iron with drilled or in Porsche’s case cast holes are susceptible to cracking and the holes are just for cosmetics. If anything they take metal away from the roto and are less a heat sink. The true statement is Ceramic Rotors are more expensive but they even with track time will out last the iron rothors by a long shot. As for dust rotors have nothing to do with dust. Pad create dust and the all do. The higher the carbon content the more black dust. Many Kevlar and carbon fiber pads have a lighter gray dust that does not show as easily. But they still produce dust. When you stop something has to give and the pads are the designated part to be used up. Rotors do wear some but very little compared to the pads. Ceramic Rotors are tested for how much wear by weight. Thank you Scott3! Saved me from duplicating effort to explain the factual nuances you just drew light too. Either are fine for the track, but ceramic are often swapped for iron for cost alone as their consumable. The main take away, iron rotors are just fine. Learning consumes brakes. Eventually less brakes means in slow out fast. You would save money learning with iron but the rotors still are consumed learning. Everyone wishes for great brakes. The best are expensive and beyond necessary for anyone that is not a pro. But ceramics are engineered to be safer. Safe is good on track, means you go home with your car whole. Do you want to save money or do you want the best fade free braking force? There is no right or wrong just two choices and what will satisfy your needs. If you are going for lap times or racing Ceramic is what you need, if you just want to make low cost laps iron is what you need. Same applies to tires and shocks. How fast do you want to go is based on how much you want to spend. That unsprung weight reduction though, you’re saving 100lbs of spinning weight by using carbon ceramic discs. Equates to performance of ~300lbs of weight reduction on the chassis. The only reason they’re not “good” for track use is money. F1 uses them because money is no object. Casual track use of a corvette, too expensive. You could buy a crate LS9 every time you want to change rotors and pads. Speed costs money, how fast do you want to go?